Synthetic flooring is known for being resilient, water-resistant and low maintenance. It can be found in a broad range of facilities with high-traffic areas. There are many kinds of synthetic flooring such as vinyl, linoleum, cork, rubber and laminate. The most commonly used are vinyl and linoleum. Although synthetic flooring is known as being exceptionally tough and long lasting, like any floor covering, they still need regular maintenance to stay looking like new. WAXIE has just what you need to get started with Pure Performance – a program containing all the synthetic floor care products that you need in a single uncomplicated system. Pure Performance is a fantastic system that makes it easy to have a floor care maintenance program that achieves the high gloss results you desire. 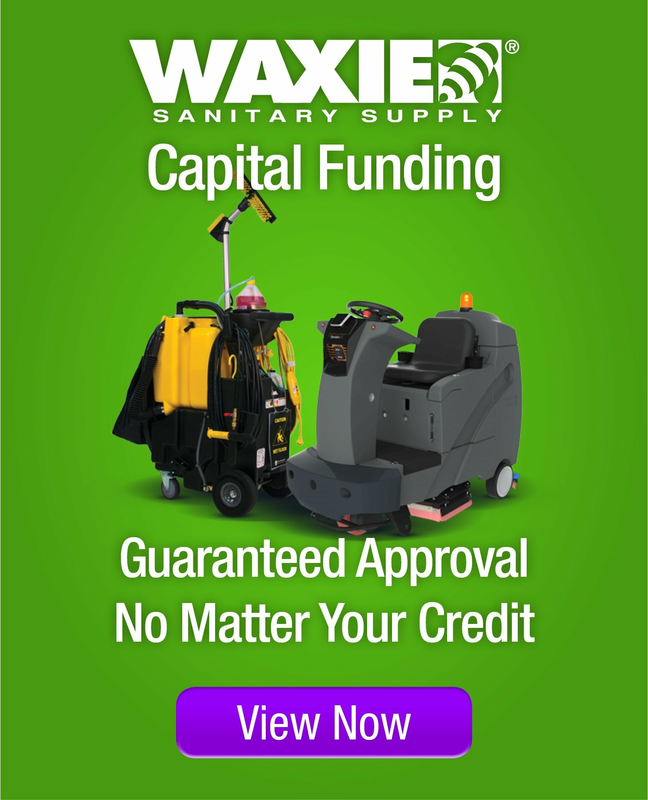 WAXIE has many other synthetic floor care cleaning options such as general purpose cleaners, strippers and finishes you need to maintain cleanliness and keep your floors looking great. Contact your local Sanitary Maintenance Consultant so that they can help you with specific product and equipment recommendations for your synthetic flooring today! VCT, or vinyl composition tile, has been a popular choice in many types of commercial facilities such as retail stores, supermarkets, hospitals, schools and more. This is because it holds well in busy areas, has a long lifespan and is less expensive than most other options. Vinyl is also a great option because it can closely resemble wood, stone, terrazzo, or concrete without the cost or maintenance of having those types of flooring. Let us help you build your hard floor care solution today!